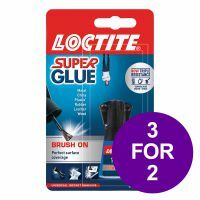 Buy two packs of Loctite Super Glue with Brush and get one pack for free. Loctite super glue gives a strong bond in seconds. The Brush on version has a built in brush applicator for easy spreading on larger or irregular surfaces. 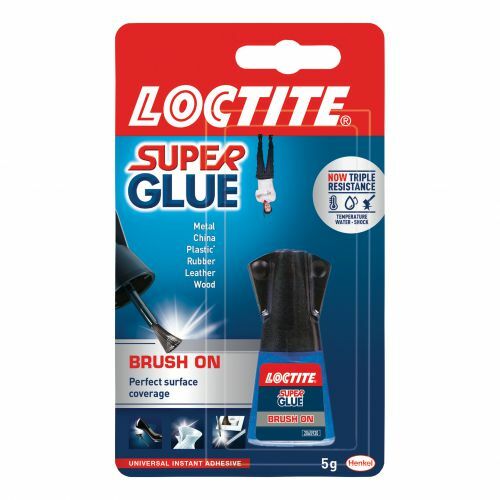 Temperature, water and shock resistant Lightly roughen smooth surfaces before use.